Whilst Greyhounds Australasia (GA) attempts to monitor and regulate exports through a Greyhound Passport Scheme, GA does not have the ability to stop greyhounds being exported to countries which do not meet minimum welfare standards. The export of greyhounds often results in cruel and inhumane conditions for these dogs. Airlines can play a key role in reducing the suffering of greyhounds by refusing to carry these dogs for export. Some airlines have already made strong commitments to not carry racing greyhounds, such as Qantas, Air New Zealand and Cathay Pacific. But many others have not ruled it out. Join me in building the campaign to pressure all airlines in refusing to carry racing greyhounds. Greens NSW MP, Dr Mehreen Faruqi MLC, has written to airlines seeking their commitment to not providing racing greyhound freight services on their international flights. You can scroll down to find out what their current position is, and what their response to our letter has been. Scroll down to see which airlines have and haven't ruled it out and take action to demand that they do. Each airline has a link to their contact page that you can use to demand that they stop carrying racing greyhounds overseas. Success! Singapore Airlines has responded to our letter, confirming that they have stopped carrying racing greyhounds on their entire network. Click through to thank Singapore Airlines for ruling out exporting greyhounds. 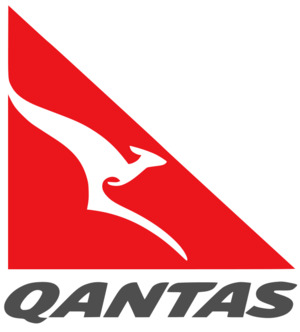 Qantas decided in 2015 to stop carrying racing greyhounds. Success! China Southern Airlines has written to us committing to not exporting racing greyhounds from Australia. Click through to thanks China Southern Airlines for ruling out exporting greyhounds. Success! Garuda Indonesia responded to our letter, committing to not exporting racing greyhounds from Australia. Click through to thank Garuda Indonesia for not exporting greyhounds. Success! Air China responded to our letter, stating that "On behalf of our General Manager, I am writing to confirm that Air China will also commit to not provide racing greyhound freight services on Air China’s International flight from Australia"
Click through to thank Air China! Success! Virgin Australia responded to our letter, stating that "Given the well-documented concerns about the welfare of greyhounds that are transported to Hong Kong, I can confirm that Virgin Australia will not carry greyhounds on these flights, or any other flights that we operate to Asia. Virgin Australia Cargo’s website has been updated to reflect this commitment"
Click through to thank Virgin Australia for making this commitment. Success! Qatar Airways responded to our letter, stating that "Due to animal welfare concerns, Qatar Airways does not carry greyhound dogs with the exception of pets." Click through to thank Qatar Airways for ruling out exporting greyhounds. Air New Zealand does not allow "animals being transport for profit e.g. racing greyhounds". Success! Thai Airways has responded to our letter, stating that "Please be advised that Thai Airways will not be providing freight services for the Export of Greyhound/Racing Dogs from Australia"
Click through to thank Thai Airways! Success! Delta has responded to our letter, stating that " Delta Cargo does not permit any warm-blooded animal shipments on flights with a duration of twelve (12) hours or more" meaning no Delta flight from Australia (or a connecting flight) can carry a greyhound. "We are happy to support the welfare of animals worldwide and are confident that these restrictions are effective in eliminating Delta’s exposure to this practice. Cathay Pacific decided in 2015 to stop carrying racing greyhounds. Click through to thank Cathay Pacific. Whilst Jetstar does not explicitly rule out carrying greyhounds, it does not allow any animals from Australia. It's parent company, Qantas, does not allow greyhound exports. Whilst LATAM (which flies to Chile) does not explicitly rule out carrying greyhounds, it does not allow any animals from Australia. Click through to ask LATAM to explicitly rule out exporting greyhounds. Whilst Xiamen Airlines does not explicitly rule out carrying greyhounds, it does not allow any pets on its flights. Click through to ask Xiamen Airlines to explicitly rule out exporting greyhounds. Whilst Cebu Pacific has explicitly ruled out carrying greyhounds, and does not allow any pets on its flights. Whilst Air Asia X does not explicitly rule out carrying greyhounds, it does not allow any pets on its flights. Whilst Scoot Airlines does not explicitly rule out carrying greyhounds, it does not allow any pets on its flights. Click through to ask Scoot Airlines to explicitly rule out exporting greyhounds. Hong Kong Airlines has not ruled out carrying racing greyhound exports. We have written to them and will post their response here when received. Click through to ask Hong Kong Airlines to rule out exporting greyhounds. Vietnam Airlines has not ruled out carrying racing greyhound exports. We have written to them and will post their response here when received. Click through to ask Vietnam Airlines to rule out exporting greyhounds. Emirates has not ruled out carrying racing greyhound exports. We have written to them and will post their response here when received. Click through to ask Emirates to rule out exporting greyhounds. Malaysia Airlines has not ruled out carrying racing greyhound exports. We have written to them and will post their response here when received. Click through to ask Malaysia Airlines to rule out exporting greyhounds. Air Canada has not ruled out carrying racing greyhound exports. We have written to them and will post their response here when received. Click through to ask Air Canada to rule out exporting greyhounds. American Airlines has not ruled out carrying racing greyhound exports. We have written to them and will post their response here when received. Click through to ask American Airlines to rule out exporting greyhounds. Etihad has not ruled out carrying racing greyhound exports. We have written to them and will post their response here when received. Click through to ask Etihad to rule out exporting greyhounds. Hawaiian Airlines has not ruled out carrying racing greyhound exports. We have written to them and will post their response here when received. Click through to ask Hawaiian Airlinesto rule out exporting greyhounds. Philippine Airlines has not ruled out carrying racing greyhound exports. We have written to them and will post their response here when received. Click through to ask Philippine Airlines to rule out exporting greyhounds. Asiana Airlines has not ruled out carrying racing greyhound exports. We have written to them and will post their response here when received. Click through to ask Asiana Airlines to rule out exporting greyhounds. China Eastern Airlines has not ruled out carrying racing greyhound exports. We have written to them and will post their response here when received. Click through to ask China Eastern Airlines to rule out exporting greyhounds. Japan Airlines has not ruled out carrying racing greyhound exports. We have written to them and will post their response here when received. Click through to ask Japan Airlines to rule out exporting greyhounds. United Airlines has not ruled out carrying racing greyhound exports. We have written to them and will post their response here when received. Click through to ask United Airlines to rule out exporting greyhounds. Sichuan Airlines has not ruled out carrying racing greyhound exports. We have written to them and will post their response here when received. Click through to ask Sichuan Airlines to rule out exporting greyhounds. Hainan Airlines has not ruled out carrying racing greyhound exports. We have written to them and will post their response here when received. Click through to ask Hainan Airlines to rule out exporting greyhounds. Korean Air has not ruled out carrying racing greyhound exports. We have written to them and will post their response here when received. Click through to ask Korean Air to rule out exporting greyhounds. Air India has not ruled out carrying racing greyhound exports. We have written to them and will post their response here when received. Click through to ask Air India to rule out exporting greyhounds. All Nippon Airways has not ruled out carrying racing greyhound exports. We have written to them and will post their response here when received. Click through to ask All Nippon Airways to rule out exporting greyhounds. All logos are taken from Wikipedia Commons.